The 2014 TBG Dan Quillian Memorial State Shoot will be held on March 15-16, 2014 at The Rock Ranch. We will be using a different portion of the property this year and it looks to be perfect for us. Good looking woods, lots of open areas for camping (free camping), ponds, and a huge pole barn that will make this an all weather venue. It will be awesome! The TBG Northern Zone Hunt will be held at Cooper’s Creek WMA on September 27-29, 2013. My plan is to camp at the Forest Service Campground at Cooper’s Creek. It is roomy and provides easy access to the WMA. This is a pay camping area and is handled on a first come-first served basis. The Mulky Campground is also adjacent to the WMA if the Cooper’s Creek sites fill up. Both run $8 to $10 per night. If you are averse to paying to camp, there are spots on the WMA where you can do it for nothing. 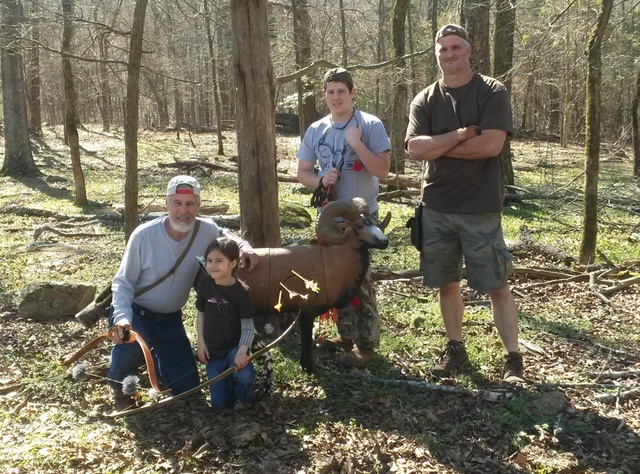 This hunt will be held the same weekend as the Outdoor Adventure Day at Unicoi State Park. My personal plan is to hunt on Friday, come to Unicoi on Saturday, and hunt on Sunday. I would invite other hunt participants to ride over to Helen with me on that Saturday to assist in the TBG Youth Range on that Saturday. 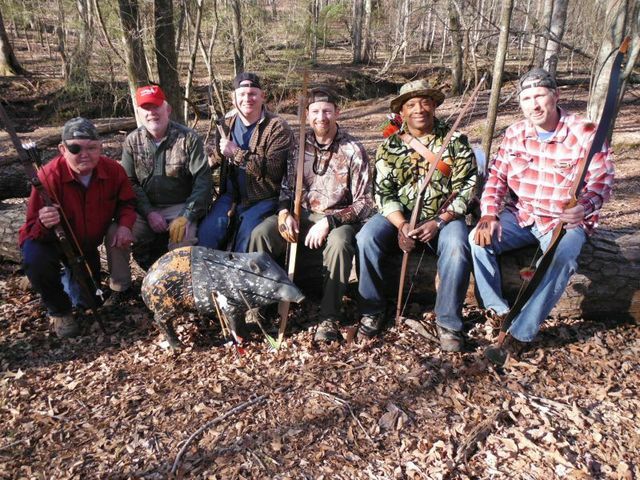 Hope to see a good number of TBG members and guests at this hunt.turday, 9/28. Recently, TBG members were asked to complete and return a survey intended for use by the newly appointed Tournament Committee in determining what participants want in terms of improvement of our annual Dan Quillian Memorial State Shoot, which is held in March of each year. If you’d be interested in providing your input, please print the survey, fill it out completely, and return it to us for inclusion in the information gathering effort. We will use the information gathered to guide the improvement process to make for a better experience for everyone. If you have already filled out and returned your member survey, there is no need for you to repeat the process here. Thanks in advance for your help! Adobe PDF reader is required but if you don’t have the software, never fear, it is a free download and is available by clicking here. The Summer 2013 Newsletter is now available for download on the TBG Site. This latest edition may be one of the best in history. Great articles, some very cool pictures and a column from our new President elect Lee Camp. To download a copy of the newsletter just click on the image below. We hope you all enjoy the newsletter and wish you the best of luck in the comming 2013 hunting season! Ya’ll come please, IT will be a fun, and informative event. 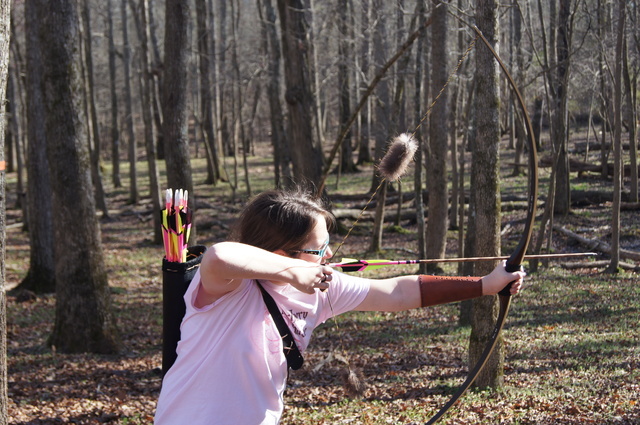 TBG has a lot of things going on, and all of them are good for Traditional Archery. Whatever has to be done, we will handle it. Like my dear grandpapa Harold use to tell me; it ain’t no step, for a stepper. Tell me these kids ain’t SERIOUS !!! 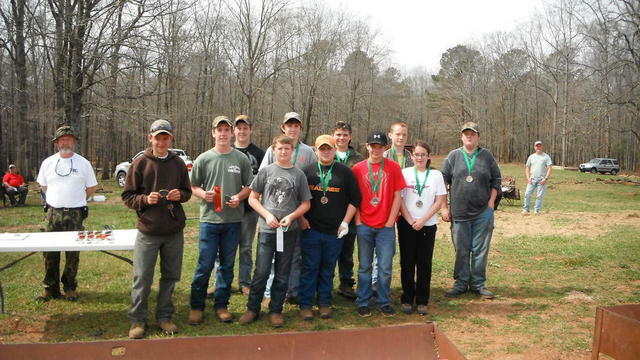 The 2013 Dan Quillian Memorial State Shoot hosted by the Traditional Bowhunters of Georgia was a rousing success! With just shy of 100 registered shooters the woods were full of the sound of arrows striking foam, along with the hoots and hollers of attendees when arrows struck trees, rocks and earth instead of foam! Volunteers and many officers arrived on Friday to set up the course and registration area. Big Jim arrived as well and his tent was a very popular place during the course of the weekend. Thanks for your support Jim! It appeared everyone was having a grand time as the shooting began on Saturday morning. Later in the evening everyone gathered for a great meal and even greater fellowship. The food was tasty and plentiful. The conversations were warm, friendly, and numerous. Festivities were preceded by a prayer from our gracious host at Rock Ranch, Mr. Jeff Manley. Thank you again Jeff for your hospitality and support. On Sunday everyone was treated to a wonderful devotional by our own Mr. Al Chapmnn and then shooters were grouped into flights for the final round of shooting. Then scores were tallied and buckles and ribbons distributed to the winners. Most important of all was that we had a plentiful group of youth shooters which accounted for 20% of the total number of shooters. With a total of 15 registered shooters between the ages of 7 and 15 the sport is alive and well with our youths. When all was said and done 21 buckles and ribbons were distributed to the winners in each class. The youth class were all awarded medals and lots of applause and cheering could be heard. The 2013 State Shoot was a a success due to the dedication and assistance of the volunteers who set the course, manned the registration table, tallied scores and so many other tasks and responsibilities. TBG would like to thank them all for their assistance. Events like these raise funds to support the TBG youth program and anyone who attended the shoot could see that the youth program is a huge success. Tony Smith does a great job of managing the youth program and event at the State Shoot Tony could be seen assisting kids at the youth targets. Thank you Tony for all you do! We hope everyone that attended had as much fun as we the officers did. We look forward to seeing you at the shoot next year. Be sure to tell your friends and bring a guest, there will be plenty of fun and food to go around we are sure. The Winter 2013 Newsletter is now available for download on the TBG Site. This newest edition is chock full of information, stories and local resources for Traditional Archery related gear. A big thank you goes out to all of those that contributed articles and pictures for the newsletter. Be sure to visit our sponsors and show them you appreciate their support! Enjoy the newsletter and we look forward to seeing everyone at a TBG Event or Shoot near you!